How much do you remember of 2016? 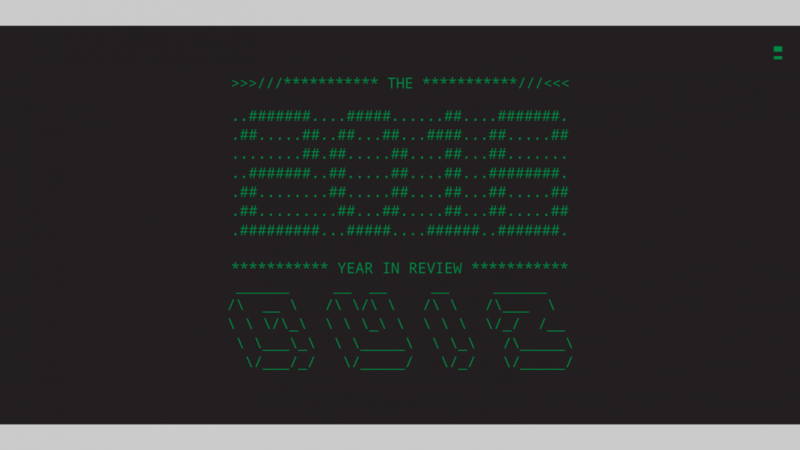 See for yourself by checking out our 2016 Year in Review Quiz. In 2016 we worked hard to rebrand Random Trivia Generator, inject some color into the site, and bring it into the 21st Century. One of the goals of the rebrand was to make the site more accessible and usable across multiple platforms. Without further ado, we would like to introduce the new Random Trivia Generator app, now available in the App Store and Google Play! The new app was designed to look and feel much like the desktop and mobile versions of the site, with infinite scrolling to keep you entertained for hours with over 17,000 trivia questions (with tons more coming). Card and List view – ability to toggle between card view or list view to quickly scan through trivia. Tap to reveal – in card view the answer is hidden until you tap on the question card. Randomly generated quizzes – unlike the current, fixed-length random trivia quiz, you are able to select the number of rounds and questions. User-submitted questions – additional functionality to submit single, or multiple questions to our database. In 2017, we will be working to bring other user-requested features, tons more trivia questions, and improve the general usability of the site and database, so you can focus on entertaining your friends, family and guests, while we take care of the rest. 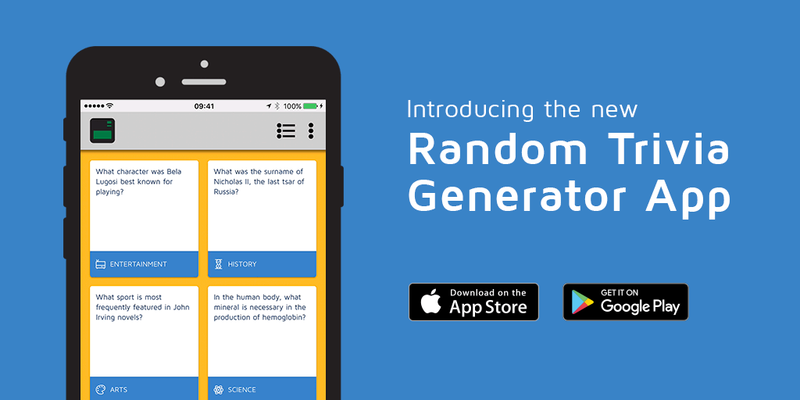 Enjoy the new Random Trivia Generator app and stay tuned for all the new features we are working on. Hello, and welcome to another New Comic Book Day trivia round. 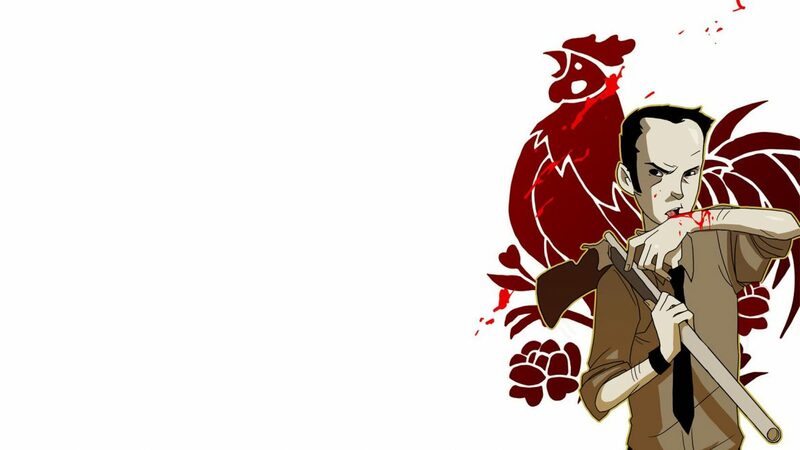 This round is based on the first dozen, or so issues of Chew. Despite its 60 issues, this series has so much good stuff that I could easily come up with a few more trivia rounds. For now, enjoy this free round where we establish the basics about his life, his friends, his family, and the comic book series in general. Q: What was the Roman equivalent of the Greek god Poseidon? 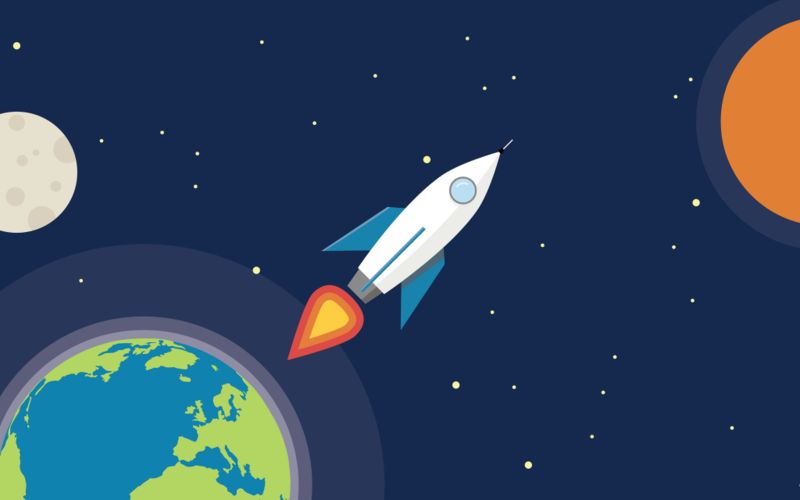 After recently watching the documentary “Cosmodrome” on Netflix, I felt inspired to look into rocket engines, programs and the race to the Moon in the mid-20th Century. Enjoy this free round of trivia that came from this research.